what is levitra used for Western Oregon has a Mediterranean-type climate which is characterized by mild, wet winters and dry warm summers. Our dry period typically lasts 3 months (July-September), when daytime temperatures may exceed 90˚ F. This combination of dry days and summer heat will cause stress to many landscape plants if they are not irrigated regularly. 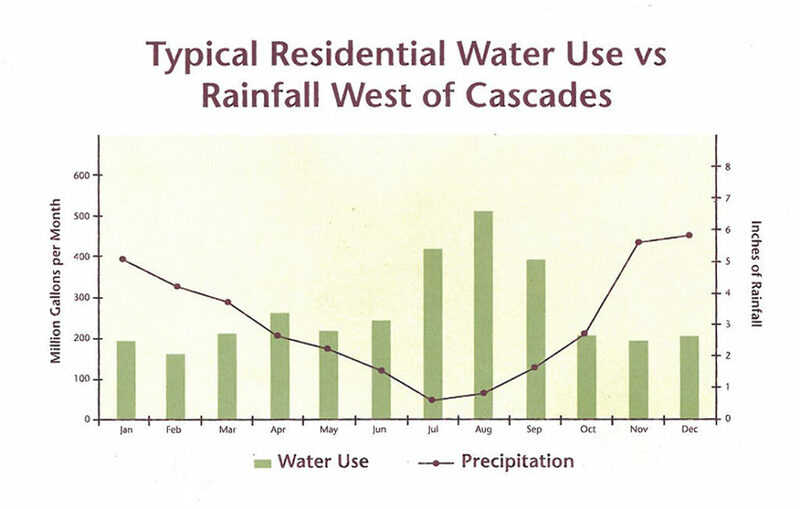 As a result, municipal water use in the Willamette Valley frequently doubles or triples during the summer months due to outdoor watering. using lasix with klor-con As the population in our region grows, meeting our summer watering needs is becoming more challenging. This plant list will help you garden in balance with nature, so you can enjoy a beautiful yard that’s healthy, easy to maintain, and good for the environment. When choosing plants, we often think about factors like size, shape, foliage, and flower color. But the most important consideration should be whether a site provides the conditions a specific plant needs to thrive. Soil type, drainage, sun and shade- all these affect a plant’s health, and as a result, its appearance and maintenance needs. http://yawanawa.org/?search=canadian-brand-viagra In addition to planting more waterwise plants, also consider alternate watering methods such as soaker hoses, which water directly to the ground instead of overhead, where you’ll lose a lot of your water to evaporation rather than it going directly to the roots of the plant. Rain barrels are a great method in our area to capture rainwater from the roof to be used in the garden during the more dry months, saving you money and using resources more efficiently. http://maientertainmentlaw.com/?search=bloody-stools-from-accutane-use The compiled list below contains some of the many plants that can be happy here in the temperate Pacific Northwest. Remember, this list is just a starting point, and by no means a complete list of water wise plants. The more information you have about your gardens conditions and particular plant needs before you purchase a plant, the better. By creating a plan and selecting plants wisely, you’ll avoid costly errors, reduce maintenance, and enjoy a better way to a beautiful, healthy garden.